Pedestrians are at a high risk when it comes to traffic accidents. In 2016, there were 5,987 pedestrian deaths in the U.S., according to the National Highway Transportation Safety Administration. While most types of traffic deaths were on the decline, pedestrian fatalities rose from 2007 to 2016, by a full 27 percent per a report by the Governors Highway Safety Administration. Stay wherever there is a sidewalk; cars do not (usually) venture onto sidewalks. If there is no designated walking path, walk on the side of the road facing traffic and far enough from passing vehicles. If signs indicate pedestrians are prohibited, stay off roadways, especially highways. Crosswalks are designated for people to safely cross a busy street. Although drivers expect to see pedestrians here, look in all directions. Before you cross, be sure there’s a gap in traffic before, and make sure it’s evident a driver sees you. In poor weather, at dusk, or in other low-light conditions, it can be hard for drivers to see everything. Walk in well-lit areas and, if visibility in your area is a problem, wear brightly colored clothing during the day and light colors or reflective clothes at night. Even if a driver stops, make eye contact to verify they can see you. Drivers have plenty of rules to follow, although they don’t always do so. As a pedestrian, it’s important to know all the signs and signals on the road, and the rules that apply to drivers. You can therefore anticipate their actions and act accordingly. Assuming a driver will give you the right of way is a bad idea. They may not see you, especially if leaving a driveway or coming out of a parking lot, so always stay alert. Using a smartphone or electronic device while walking is as dangerous for pedestrians as for drivers. You won’t see any obstructions or dangers. Headphones are also a bad idea. By listening, you can hear if there may be any danger nearby, and get out of harm’s way. While alcohol consumption is a factor in half of traffic crashes, 34 percent of the time the blame falls on the pedestrian. Alcohol can impair your reflexes and decision-making ability while on your feet. It puts you in danger even if not operating a vehicle. Drivers must be aware of pedestrians as well. Stay alert, follow posted speed limits, and be more cautious in bad weather. And always stop and yield to pedestrians, especially at crosswalks. Backing up into and out of a driveway must be done carefully, so to avoid pedestrians. Driving under the influence is dangerous, not to mention can get you in serious trouble. 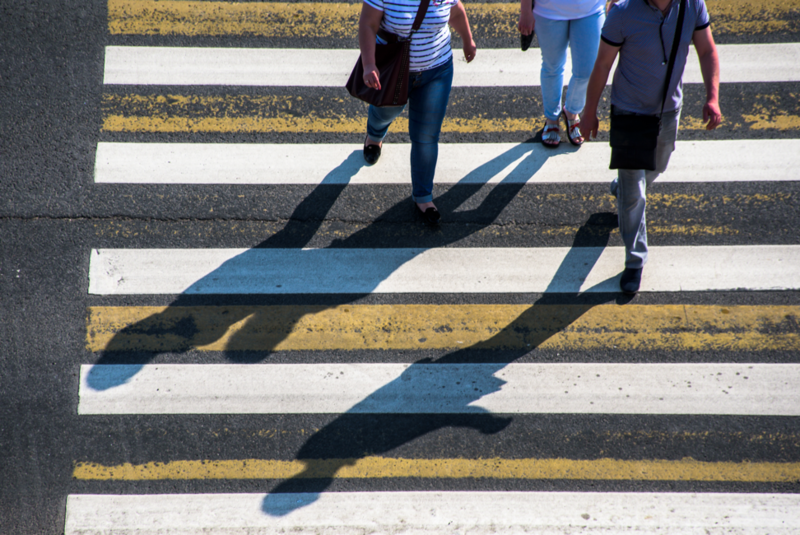 Serving Los Angeles, Orange County, and all of Southern California, our pedestrian injury attorney can fight for the compensation you deserve. Pedestrian injuries are often severe and life-changing, but we can help with your case and negotiate a proper settlement amount. Call 888-952-2952 or contact us on the Web today!